There are few meals that allow you to toss literally anything in a bowl and call it a dish. Salads are the perfect “everything-but-the-kitchen-sink” meal. The combinations are endless with so many flavors mixing together on one plate. Vegan or meat lover, spicy or sweet a salad will be whatever you want it to be. That’s why they have an entire month dedicated to their deliciousness! There are so many combinations to make up the best salad, it can be a bit overwhelming. To make it easier on you, we’ve compiled 7 random and unique salads to make the perfect meal or side dish. Find the salad that speaks to you and mix things up for your next meal! Lettuce is often the base for a salad. But not with this one. The Kumato® Tuna Salad is not your typical tuna salad. 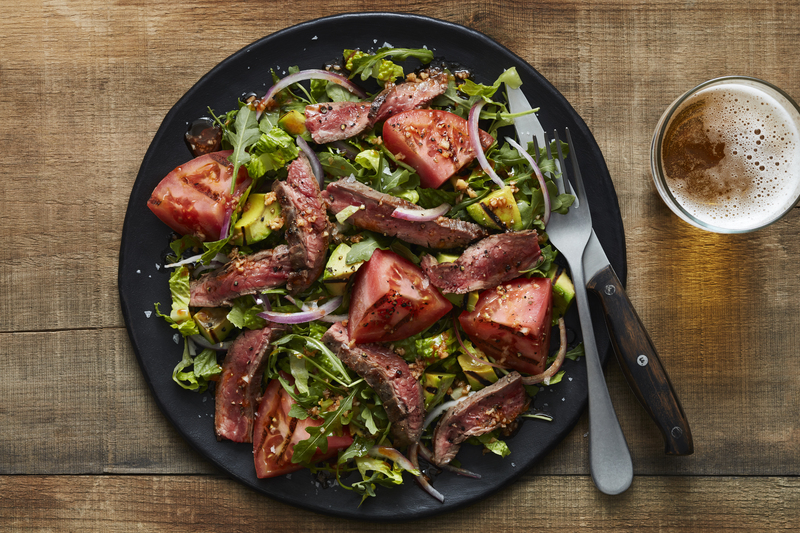 Ditch the canned tuna and mayo for seared ahi tuna and a simple homemade dressing for spectacular salad that’s more like a meal! 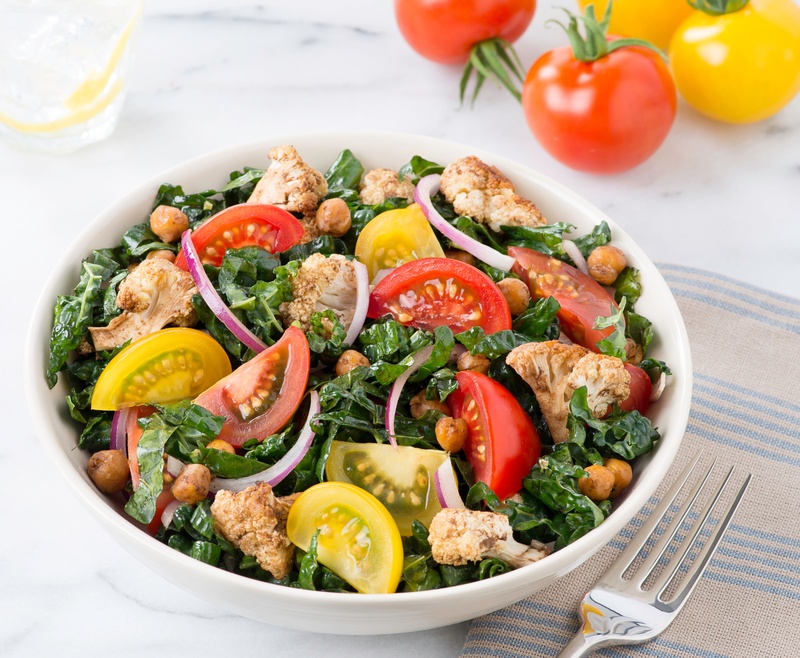 Kale is a great substitute for regular lettuce when making a salad and this Campari® kale salad is packed with veggies, protein and flavor! To make this salad even more super, pair it with salmon or chicken. Grapefruit and oranges usually make a nice salad topping. But who says it can’t be your salad base? 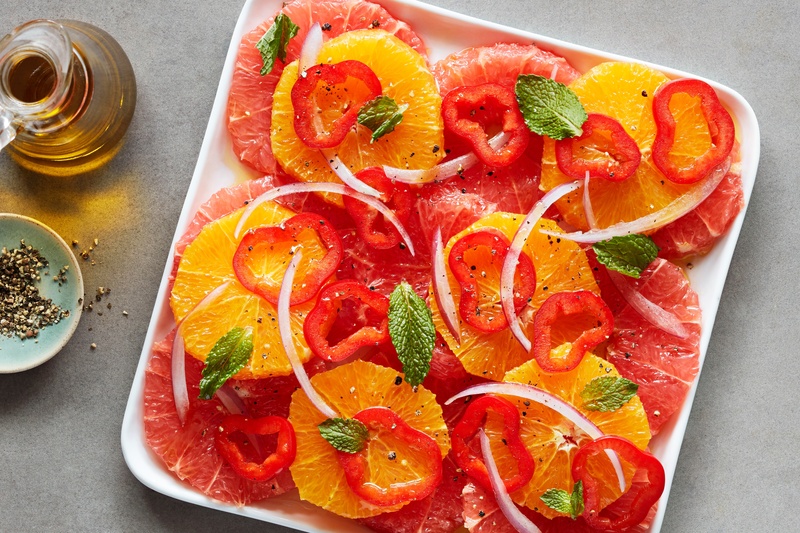 This Sweet Twister™ citrus salad is light, juicy and oh so refreshing. This is salad so flavorful you may feel guilty eating it, but it’s so healthy, you can go back for seconds! The secret is quinoa - a complete protein that takes on whatever flavors you want it to. 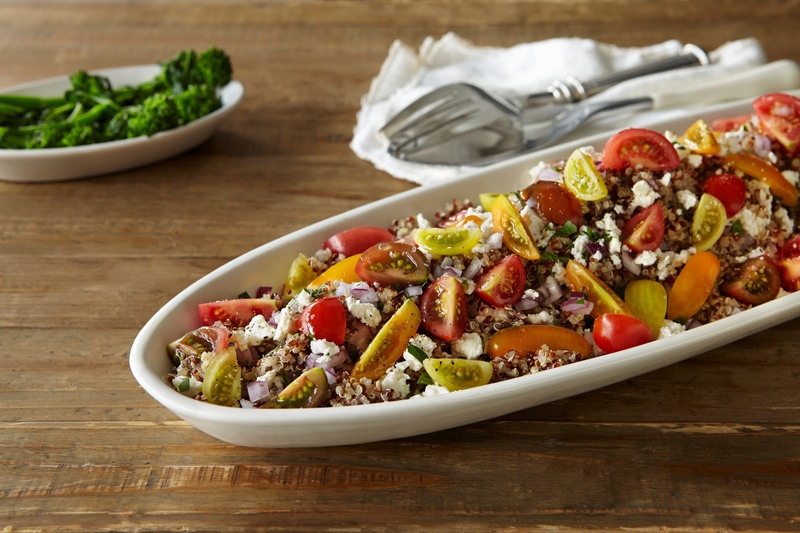 In the case of our Wild Wonders® quinoa salad, those flavor are a sweet and savory combination of Wild Wonders tomatoes, red onion and feta cheese that is sure to satisfy as a meal on its own or a side dish for your next dinner party. Tomatoes and watermelon? In a salad? Together? You bet! 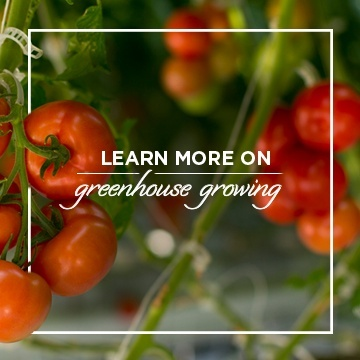 Tomatoes and watermelon are both high in lycopene, a powerful antioxidant which can help fight cancer and heart disease. 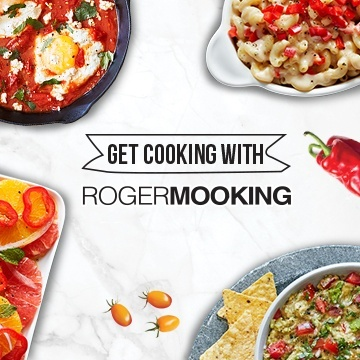 Try this Campari® Watermelon salad next time you’re making steak kabobs for an incredible combination of complementary flavors! 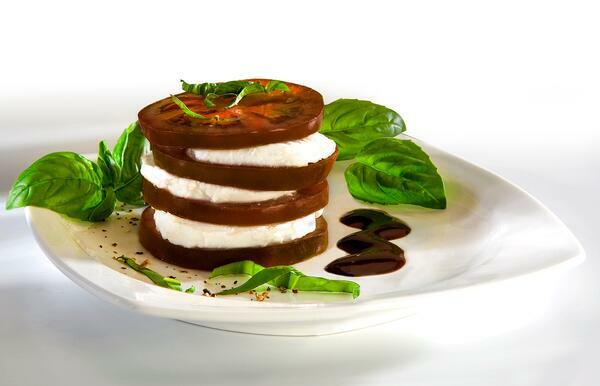 The definition of impressive, but super easy to pull off… the Kumato® caprese salad. A visually stunning salad tower packed with texture and flavor. Know a guy who only eats salad of the “potato” or “pasta” variety? 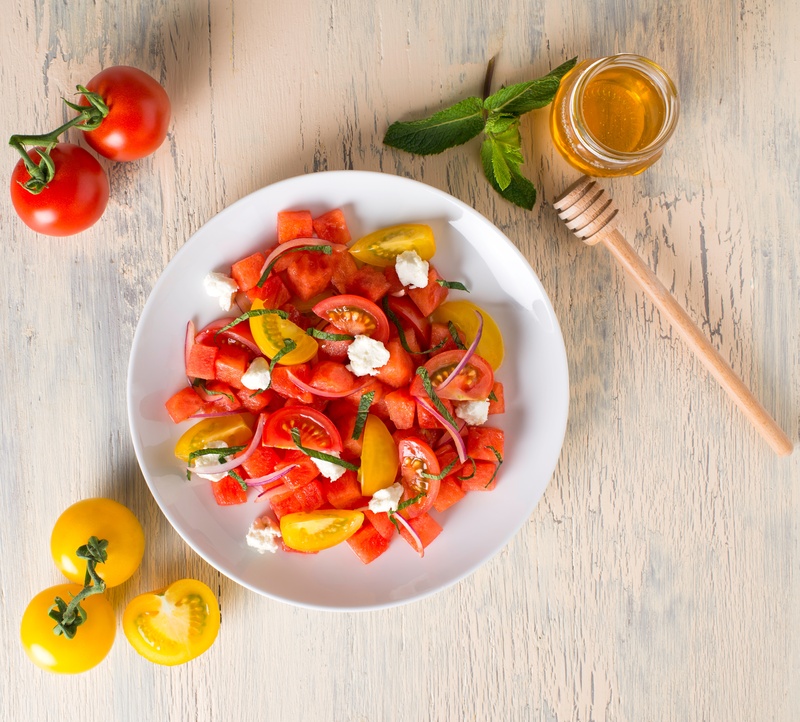 Try this grilled steak salad with beefsteak tomato. Not only does it pair perfectly with a cold ‘adult’ beverage, it will give your favorite guy an excuse to fire up the grill. The charcoal grilled steak, tomatoes, and avocado are so bold and so flavorful, he’ll forget he’s eating a salad! 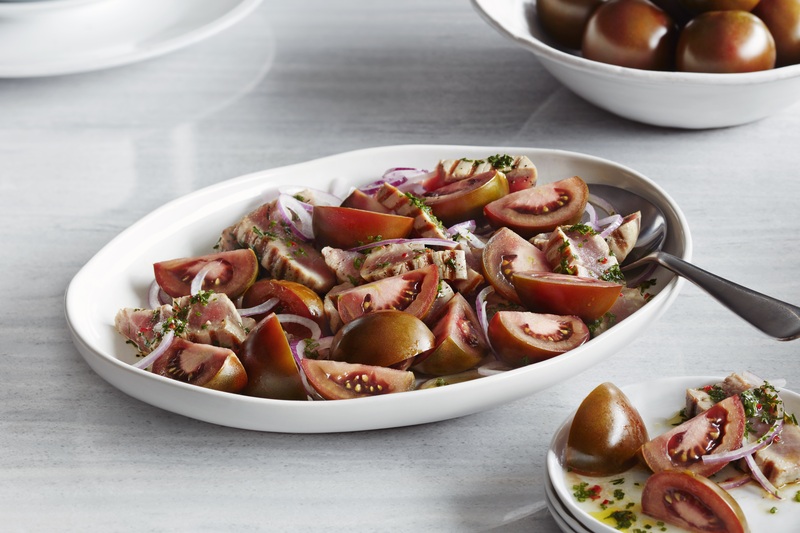 From seared tuna to grilled steak, we hope these wildly different ideas show you that there’s a salad out there for even the pickiest of eaters. We want to know, what’s your favorite salad?